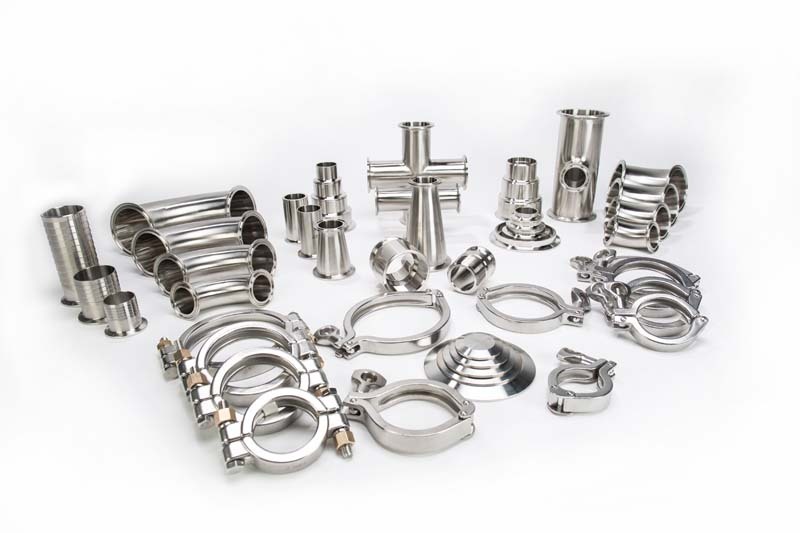 Sanitary Solutions is your source for T304 or T316L Sanitary Stainless Steel Clamp Fittings primarily found in the Bakery, Beverage, Cosmetic, Dairy, Food or Pharmaceutical Industries. 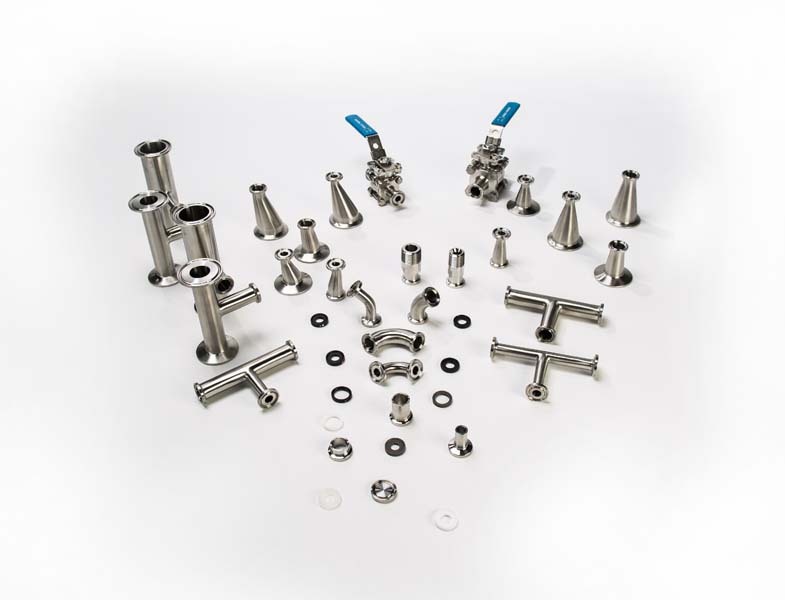 Our Sanitary Stainless steel Clamp Fittings meet or exceed 3-A standards with an ID polish of 180 Grit or 25 Ra on the Inside of the Tube and a 150 Grit or 32 Ra on the Outside of the tube. 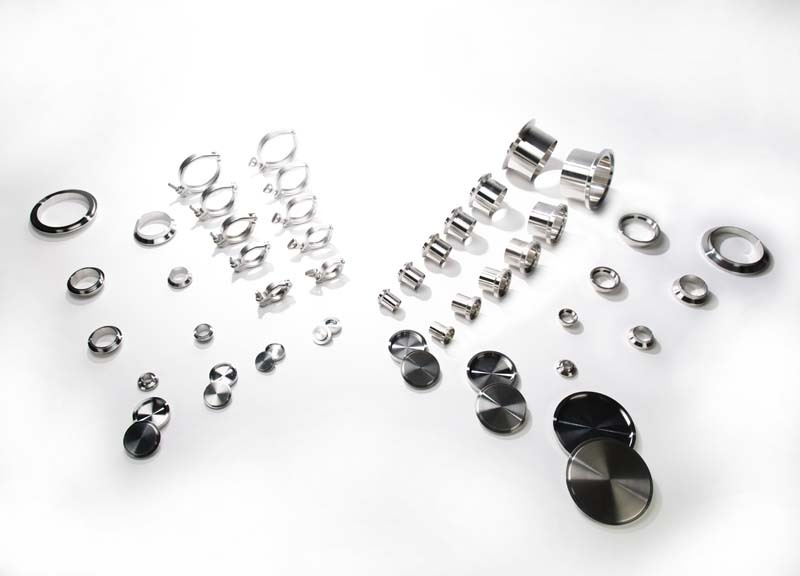 Sanitary Solutions stock clamp fittings that are capped, bagged and marked with the size and alloy and a heat number for full trace ability for either alloy. When placing an order that day, our sales staff located in West Columbia, South Carolina will send you an e-mail confirmation and tracking information showing that the product shipped the day of the order and that the product shipped complete. Take a few moments to browse the PDF Clamp Fittings Products on pages 4 -- 16 in our "NEW 2015 SANITARY SOLUTIONS CATALOG" that we stock from 1/2" -- 12" or can have made to fill your requirements and upon review, we think you will agree that the dimensions shown in this PDF are to standards accepted by the industry and meet your line space requirements when retrofitting or replacing. Our Sanitary Clamp Fittings are made to close tolerances to permit easy and fast installation of a corrosion resistant, crevice free, fully sanitary process line. Sanitary Solutions is a full line supplier of Sanitary Stainless Steel Clamp Fittings and Gaskets with multiple stocked warehouses to fill your needs or job requirements and has the availability to have the "unusual" parts such as odd sizes, sweep elbows, gauge adapters or spool pieces made and shipped to your location in the time necessary to fill your job requirements. Our domestic fabricator stocks many of the unusual clamp products or will meet your size, alloy, length and other instructions needed for Sanitary Clamp Fittings so the parts will be correct upon shipment. When you have a need for a Sanitary Stainless Steel Clamp Fitting, call us toll free at 1-888-909-3569 or 1-855-640-7871 to provide you with a Sanitary Solution and be sure to ask for our "NEW 2015 SANITARY SOLUTIONS CATALOG".